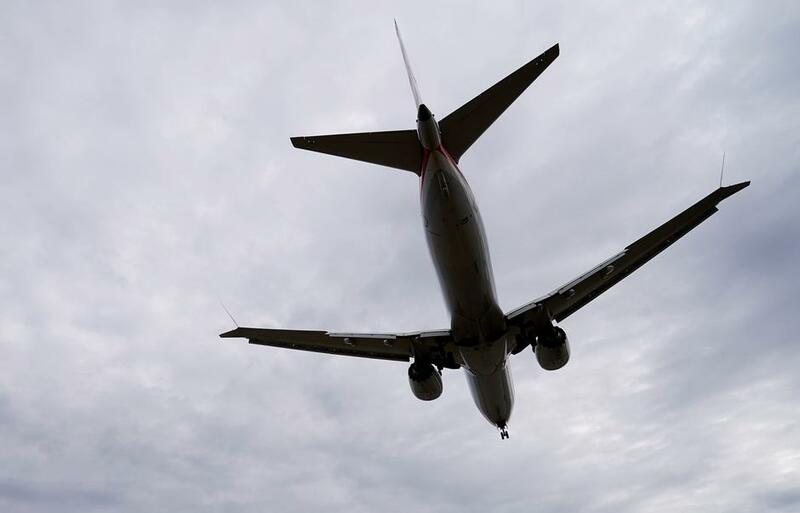 Trump says Boeing should fix, 'rebrand' grounded 737 MAX jet - SABC News - Breaking news, special reports, world, business, sport coverage of all South African current events. Africa's news leader. US President Donald Trump on Monday urged Boeing Co to fix and “rebrand” its 737MAX jetliner following two fatal crashes, as regulators worldwide continue to work with the plane maker to review its grounded best-selling aircraft. The Federal Aviation Administration has been meeting major airlines and convened a joint review with aviation regulators from other countries, while federal prosecutors, the US Department of Transportation inspector general’s office and a blue-ribbon panel are reviewing the plane’s certification. “What do I know about branding, maybe nothing (but I did become President! ), but if I were Boeing, I would FIX the Boeing737 MAX, add some additional great features, & REBRAND the plane with a new name. No product has suffered like this one. But again, what the hell do I know?” Trump tweeted. The plane’s grounding has also threatened the US summer travel season, with some airlines removing the 737 from their schedules through August. Trump issued the tweet as Boeing tries to restore trust in its fastest-selling jet, the main source of profits and cash at the Chicago-based plane maker which has won some 5,000 orders or around seven years of production for the aircraft. Branding strategy ‘premature’ Boeing has also held dozens of briefings and simulator sessions for airline executives and pilots and held world wide meetings with airline branding and communications staff. Pilots are expected to play a major role in regaining public confidence in the aircraft, but Trump’s tweet marks the first time the brand underpinning Boeing profits in coming years has been thrown into question at such a high level. Brand Finance, a UK-based consultancy that tracks the value of global brands, rejected the idea that Boeing should abandon the MAX brand but said its corporate reputation was in the firing line. “This has without a doubt damaged Boeing’s reputation and we foresee a dent to the (Boeing) brand’s value at over $12billion,” Chief Executive David Haigh said by email when asked about Trump’s comments. Brand Finance had previously estimated the damage to the value of Boeing’s reputation at $7.5 billion immediately after the March 10 crash of an Ethiopian Airlines jetliner, the second fatal accident involving the 737 MAX in five months. Benjamin Hordell, founder of marketing and advertising firm DX agency, said just renaming the plane alone was not enough. Boeing should use this as an opportunity to rebrand the company by being more transparent about the steps it takes. “People will look at it and know that it’s the Boeing 737 MAX under a different name,” he said. “To rebrand without making sure the product is safe, and undergoing another crash with the same airplane under a new name and image could destroy Boeing,” said Paul Caiozzo, founder and Chief Creative Officer of brand design agency Interesting Development. Boeing has the world’s most valuable aerospace brand, with the value of its overall corporate image rising 61 percent to$32 billion in 2018, according to Brand Finance. This entry was posted on 15 Apr 2019,07:54PM at 7:54 PM and is filed under World, Homepage Featured Story Slider. You can follow any responses to this entry through the RSS 2.0 feed. Both comments and pings are currently closed.